Who is the greater criminal: he who robs a bank or he who founds one,” demands The Threepenny Opera, created by German composer Kurt Weill and playwright Bertolt Brecht. The performance debuted in Berlin in 1928, but the question is one that resonates as much with contemporary audiences as theatergoers of decades past. Weill would later add American poets Ogden Nash and Langston Hughes and lyricist Ira Gershwin to his esteemed list of collaborators. In 1933, Weill, who was Jewish, fled Nazi Germany, moving first to Paris and later to New York. The political repression and bleak violence of war were encoded in many of Weill’s pieces, written on both sides of the Atlantic Ocean, but Cal Poly Professor Jacalyn Kreitzer perceives a lightening of tone and added hopefulness in Weill’s American work. 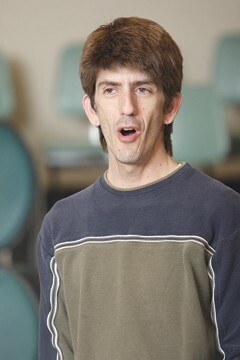 The composer’s work will be featured in Cal Poly’s annual student opera, on April 11 at the Spanos Theatre. 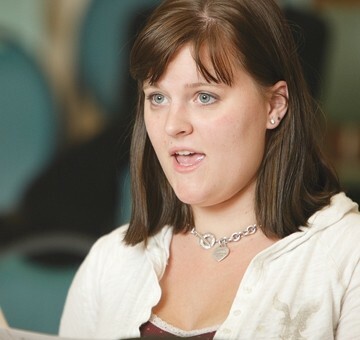 Kreitzer started the opera workshop program six years ago, wanting to provide the university’s music students with an additional performance outlet. 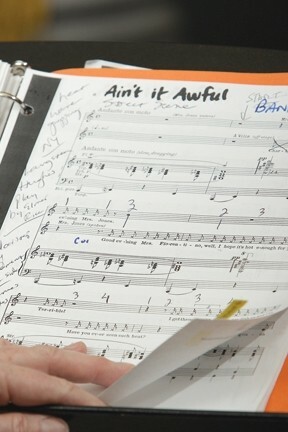 POSITIVELY OPERATIC: The Cal Poly Music Department’s performance of “The 20th Century with Kurt Weill” takes place April 11 at 8 p.m. at the PAC’s Spanos Theatre. Tickets cost $10 and can be purchased by visiting pacslo.org or calling 756-2787. 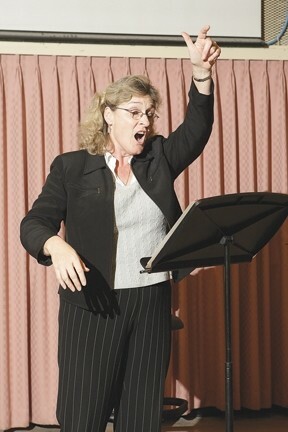 Usually, Kreitzer opts to stage a one-act opera. But this year, she wanted to choose a show that would incorporate more performers. Twenty-five students, freshmen through seniors, will perform 28 of Weill’s works, in solos, duets, and ensembles. They auditioned for the workshop last December, most of them music majors with an engineering major and a football player thrown in for good measure. If the students want credit for their efforts, they have to pay extra to the university; most elect to simply volunteer their services. Because student fees aren’t always readily available, Kreitzer turns to donations to help fund the performances. In addition to selecting a performance that would encompass a greater number of participants, Kreitzer must find an opera that will accommodate limited rehearsal time. Because the music department is so active—a fact that Kreitzer calls “incongruous” given that Cal Poly is a polytechnic university—she can only reserve the necessary rehearsal space one day a week. Also, the music department had not taken on Weill’s work in the 14 years that Kreitzer has taught at the university. John Dobbs, father to two of the students in the program, offered to direct the endeavor while Kreitzer contributed as producer. They selected the songs, translating some from German into English, and replacing lyrics that Kreitzer deemed too dark with happier fare. To illustrate her point about light and dark, the first half of the performance will take place in a dark and seedy vision of ’30s Berlin while she envisions the second half—set in America of the Depression era—to be brighter. Beer halls, pastoral countryside, and moonlit evenings are among the places she plans to bring to the stage. Dobbs’ 16-year-old daughter, Molly, is the show’s dance mistress, choreographing rumba and a swing dance for the student performers. And Kreitzer assembled a klezmer band to provide the accompaniment, ad-libbing their way through many of the pieces. Interspersed throughout the two and a half hour performance will be a piece called The Useless Song, an a cappella performance with each of the six singers playing an imaginary instrument—an operatic version of beat boxing. Some of the pieces will be sung partly in German and partly in English. 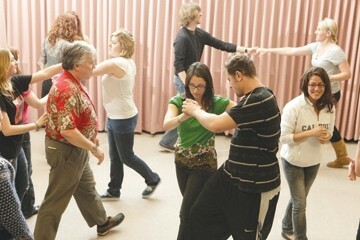 Kreitzer also works to cultivate her students as actors, as well as singers and dancers. To successfully market themselves to grad schools and potential employers, they have no choice but to fashion themselves into the proverbial triple threat. Arts Editor Ashley Schwellenbach tried to re-write Steinbeck to be sunnier, but couldn’t get away with it. Send rainbows and unicorns to aschwellenbach@newtimesslo.com.